Looking for the perfect gift? 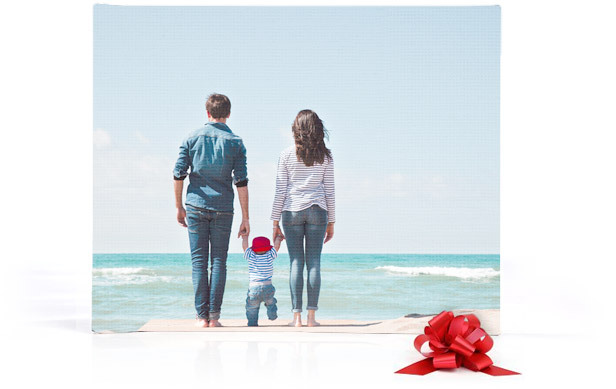 CanvasPop makes it easy to give a personalized canvas print. Gift giving is such a personal thing no matter the occasion you want to show you put some thought into the decision. CanvasPop takes care of all the details so all you have to do is remember the important day. Let us help make gift giving a breeze. There are lots of reasons to give the gift of art. Buying a gift for someone on the other side of the country? No problem. CanvasPop can ship your photo Canvas Print anywhere in North America. Finding it hard to grab a photo of that special someone without spoiling the surprise? Use our special Facebook integration to grab photos from a friend's profile. Your purchase is backed by people who really care — reach us anytime by chat, email or phone and if you don't absolutely love it, we'll reprint it or give your money back. GIve the gift of art with a Gift Card, or give a Canvas Print. 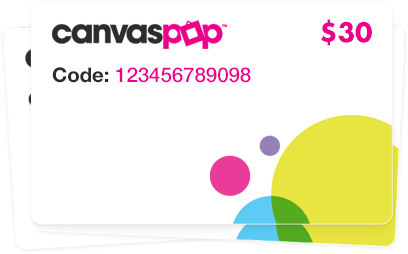 CanvasPop Gift Cards are the easiest way to purchase a personalized gift without the hassle. Available in a variety of denominations, a gift card can arrive in their inbox in no time. Our prints are delivered with all hanging hardware installed; including: high quality piano wire, rubber bumpers to protect your wall — we even include the nail!